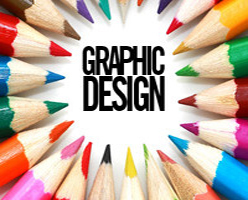 Graphic Designing involves lot of creative efforts from the person who creates these designs for you. But the core idea is – uniqueness of your website that can be expressed through attractive graphics. Logo is always unique – same as business name and the name of your website. 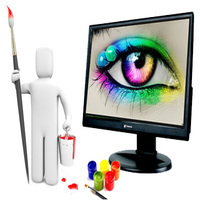 And designing the logo of your website comes as a challenging task. The logo has to be unique and specifically designed in a manner to make sure your business is known by the logo it carries. 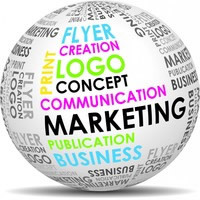 Logo carries the brand impression of the website and the business. It has to be designed in a manner as per the business – if it is a corporate firm then the design has to be a bit more professional and for lighter businesses there are more colorful options. Logo also comes in the favicons of the website – a small form of the logo that acts like a badge of the website when a website loads on your browser. The interactive format of logo can make a user engage in the website. Normally, the entire layout of the website and the color combinations evolve around the logo. Flyer designing is very important if you are about to enter a new launch or simply advertise new features of your product. Flyer designing is a thematic designing application where a lot of factors have to be considered while making the unique flyer design. Flyer designing is done with the nature of the announcement to be made – if it is a flashy or a sober material. The theme is combined with the colors of the website to make sure it is not at all an alienated declaration. Flyer declarations are for extensive marketing and making the news available to everyone – the graphics have to be dynamic and a good catch-in-the-eye so that people are curious to read the complete flyer with a possibility of higher conversion. Social Media Marketing requires the maximum attention of a creative designer for making the designs of posts to be simply different. Social Media Marketing involves regular posting and updating the social profiles. Posts generally are colorful and interactive and moreover, if the business is involved into email marketing a unique email designing is required every time a mailer is sent out. For social media marketing certain aspects that need to be maintained is the thematic expression and the website colors. A graphically sound and interactive background for every social profile is something almost all social media platforms allow. The backgrounds can be customized and re-designed to match the theme of the website and give it a more engaging and pleasing design. Social Media Marketing and related infographics makes it a real deal to get interactive graphic design imperative for utility.